Inlet height is 850 mm and discharge height is 1125 mm. 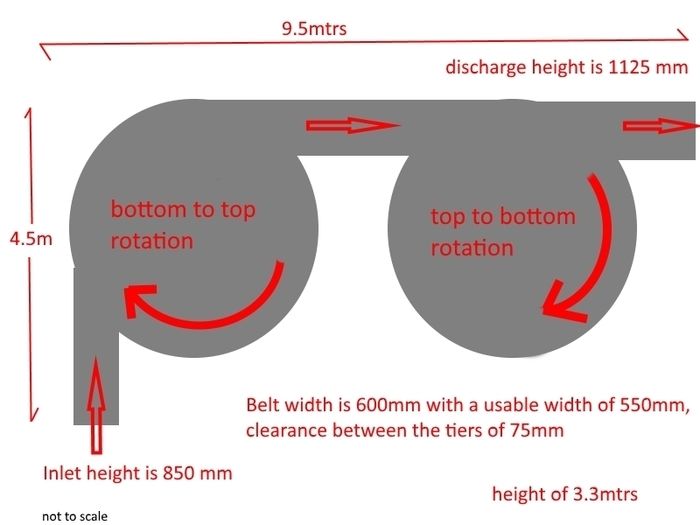 Belt width is 600mm with a usable width of 550mm , the belt length the product is in with is approx. 250mtrs plus around 30mtrs on the return and tension drive . Each tower has 17 tiers with a clearance between the tiers of 75mm.